Luxury automaker Rolls Royce unveils the Year of the Dragon collection to celebrate the Chinese festival. Rolls Royce has unveiled the Year of the Dragon collection, which is a commemorative offering in preparation for the Chinese festival to celebrate power, prosperity and good fortune. The new collection offers a hand-embroidered dragon on the leather of every headrest. The headrests are carefully hand-embroidered using a combination of five thread colors, which are Tan, Black, White, Sand and Golden. The color selection is designed to complement the variety of leather color options and the design can be finished with an additional seat piping feature. 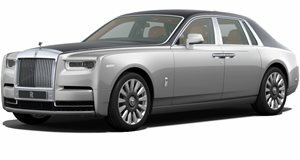 The hand-painted dragon coachline is inspired by the Forbidden City in Beijing and provides distinctive finishing touches to the exterior of the Rolls Royce. A dragon inlay will be hand-crafted to the passenger panel of every Rolls Royce in the Year of the Dragon collection. The Phantom name is also applied in gold with the two features matching perfectly together.